Employees of companies who work with EdCore or EdAssist receive a 10% discount on tuition at Lewis University. Interested employees are encouraged to visit their organization’s benefits page to determine which programs are eligible for employee discounts. Employees of designated partner organizations are eligible to apply and must meet the admission requirements of their desired program of study. 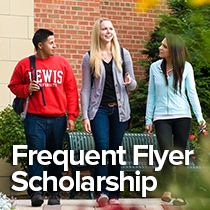 Discounts may not be used in combination with other Lewis University grant, scholarship or tuition discount programs. An Employee Discount form must be submitted prior to starting classes.